I spent a beautiful Bluebird day at Bristol Mountain last Sunday. It was warm out, the sun was shining and there were many smiles on the mountain. It was a perfect day to spend outside and on the slopes. The few times I had been to Bristol was to compete in my High School State Championships and a few USSA races. So it was exciting to visit Bristol as a recreational skier with a friend and being able to explore the mountain. When we were about to load the lift a ski instructor named Laurie gave us the whole run down of the mountain. She has been there for 25 years and you can just hear her love and passion for the sport as she spoke. She told us about the “waffle hut” on the mountain, the different chair lifts and some of her personal favorite trails. When I heard the word waffle hut I was immediately intrigued. So we set out to find that first. Getting a little lost on the way we stumbled upon some pretty nice trails and we got to watch some of the USSA Downhill race while on the lift, which was pretty exciting for me and took me back to my racing days. Finally we found the waffle hut, also known as The Morning Star Cafe. This cute cafe sits in the middle of the trees between the trails Nova and Morning Star. I highly recommend the cafe and the waffle with chocolate paired with a creamy hot cocoa. Bristol Mountain currently has two athletes headed to the 2018 Olympics, in PyeongChang. Morgan Schild, and Jon Lillis. Morgan Schild skied on the Freestyle Team at Bristol and will now represent the USA on the Moguls Team. Jon Lillis who was also a member of the Bristol Mountain Freestyle Team will also be competing in the 2018 Games, for Freestyle. Congrats to Morgan and Jon Lillis! On Thursday, February 8th at 7pm in the Rocket Lodge at Bristol Mountain there will be a watch party for the Women’s Moguls and celebration for Morgan Schild and Jon Lillis. Bristol Mountain Freestyle Coach Johnny Kroetz will be there to share some of his insights on the athletes and their journey. Go check it out! Soaking in the sun on this beautiful day! 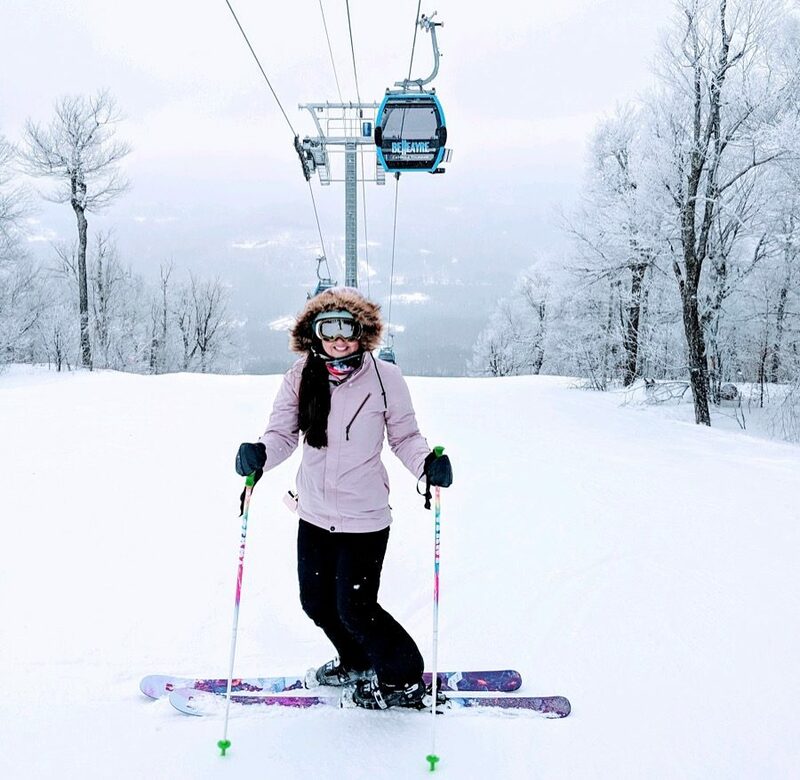 Next Learn to Ski and Ride NY!